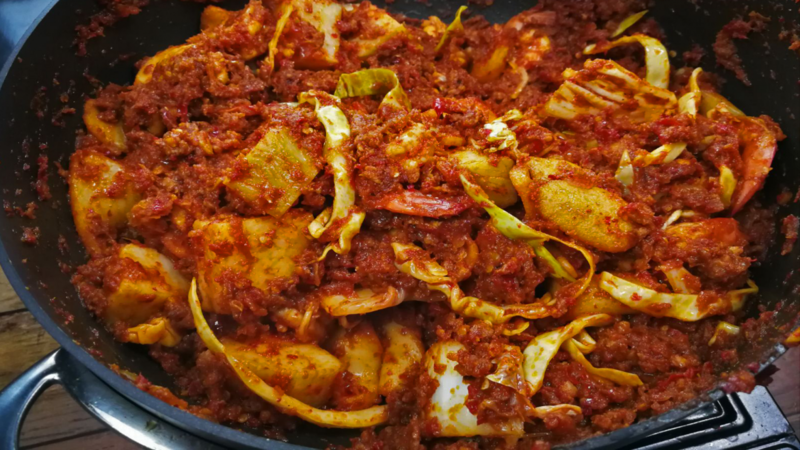 Does the Lontong Goreng look familiar to you? Yes, you’re right! 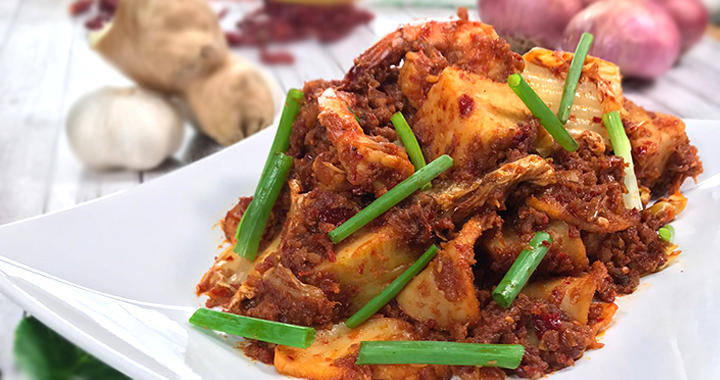 This dish looks like our very own hawker style Fried Carrot Cake aka Chai Tow Kway, isn’t it? However, there’s a popular saying… Same same, but different! They might look similar in appearance, but they certainly taste different. 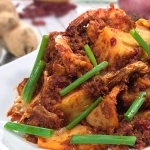 This one-pot wonder Lontong Goreng will spice up your senses with the freshness from the seafood, the rich flavor from the minced beef, crunch from the vegetables and the mixed of herbs that tickles your taste buds with every bite. We’ve tried looking around, but we can hardly find this dish locally. Well, today is your lucky day! 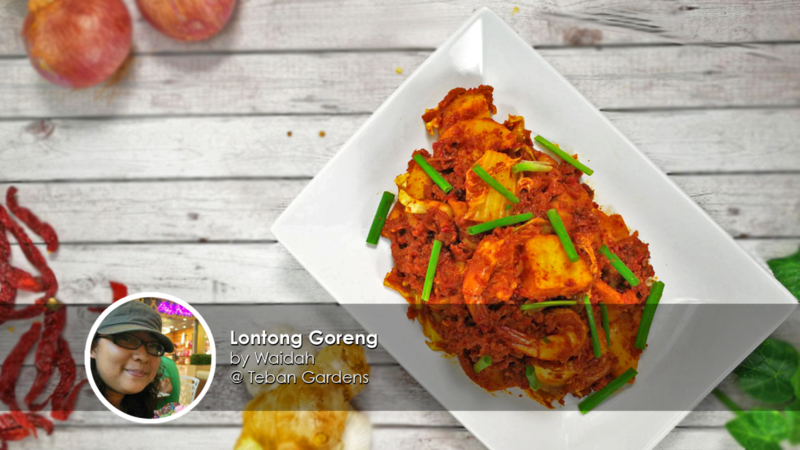 Here’s the Lontong Goreng recipe from home cook Waidah! In a big wok with heated oil, add in the herb pastes. Fry for 3 mins until the fragrances releases. Add in belachan, fry till the oil surfaces above the chilli. Add in fried shallots, fresh prawns, oyster sauce, sweet soy sauce, salt and sugar, pepper, chicken cubes, dried shrimp. 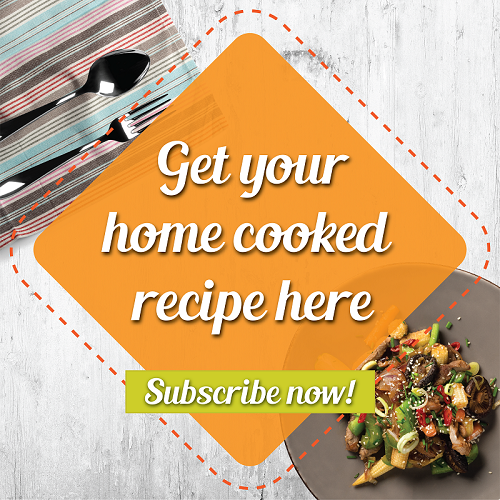 Pour in 2 cups of water, fry till the prawn is ¾ cooked. Add in minced beef and fish cake. Fry till the ingredients are fully cooked. Add in the cut lontong and the vegetables. Stir-fry for 2 minutes till it is evenly mixed. Serve with spring onion as garnish.